and storage below. Stainless steel appliances include fridge, stove, dishwasher & hood-fan. Spacious eat-in area with patio door access to backyard. Neutral ceramic floors in the kitchen and eat-in area. Extra pot lights in the ceiling add to the ambiance. plenty of natural light. A 2-piece powder room and inside access to the garage are conveniently located off the main entry. 2nd level includes the Master bedroom retreat with a 4-piece bath and walk-in closet, 2nd & 3rd bedrooms, as well a the main 4-piece bath. Lower level boasts a huge familyroom and a cosy gas fireplace to warm up those cold winter evenings. Close to shops, services, schools & transit. A great place to call home! 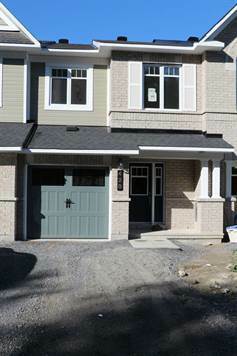 For viewings, call Cheryl at 613-884-1384 today!